The living area has a number of lounges with a centrally located wood burning stove and gas heater. The dining room seats eight persons and the kitchen is fully equipped with most utensils for your convenience including a microwave oven, rice cooker, electric frying pan, slow cooker and Nespresso coffee machine. The bedrooms and lounge are all carpeted. The bathroom has a shower toilet, vanity and washing machine. Linen and pillow cases are NOT supplied, however beds are supplied with quilts, blankets and pillows. Uralba accommodates eight people with sleeping options that include three bedrooms, two with a double bed in each and a bunk room with one double bed bunk and two single bed bunks. For heating, an ‘Austwood‘ slow combustion wood heater is situated in the middle of the house. This will warm the whole house once going. A gas heater can be used for early morning starts instead of burning wood unnecessarily. 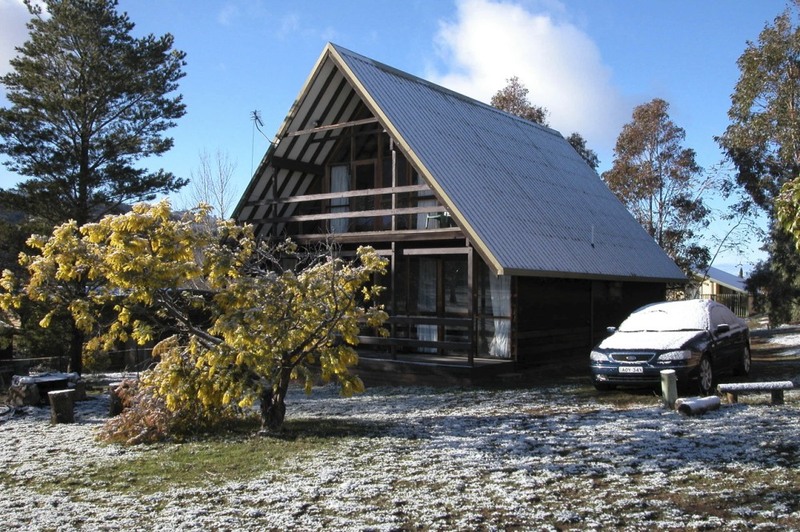 Uralba has a pleasant view of the lake and surrounding mountains. The house has large windows on the northern end so as to capture the sun's energy (and of course the view) during the day. In winter months if you leave the curtains open during the day the suns energy will warm the house nicely. The caretaker is Jackie Jackson who lives at 6 Lantana drive. Her phone number is 0421276026. Please notify Jackie of any problems with the house so that they may be remedied immediately. Garbage night is Monday. Place the Otto bins near the curb to the front of the house when you depart and please do not leave garbage inside the house a when you depart. Also for your convenience there is a LCD TV, CD/DVD and amplifier with MP3 connector. You may not enter the house any sooner than 2 p.m. on the day of occupation or leave the house any later than 10 a.m. on the day of departure in order to allow sufficient time for the caretaker to clean the house. On arrival, the keys to the house will be placed in the fuse box located at the right hand side of the house. PLEASE RETURN THE KEYS TO THE SAME PLACE WHEN DEPARTING.